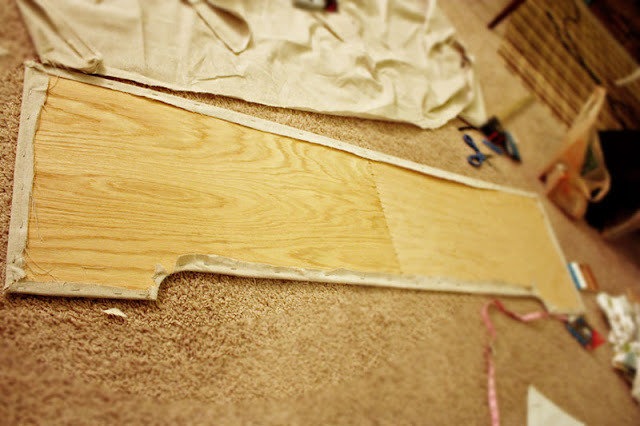 Sketch out a decorative shape for the bottom (if you want). I kept mine simple, knowing I would be adding ribbon trim later. Cut out the shape with a jig saw. Cover what will become the back side of the cornice. 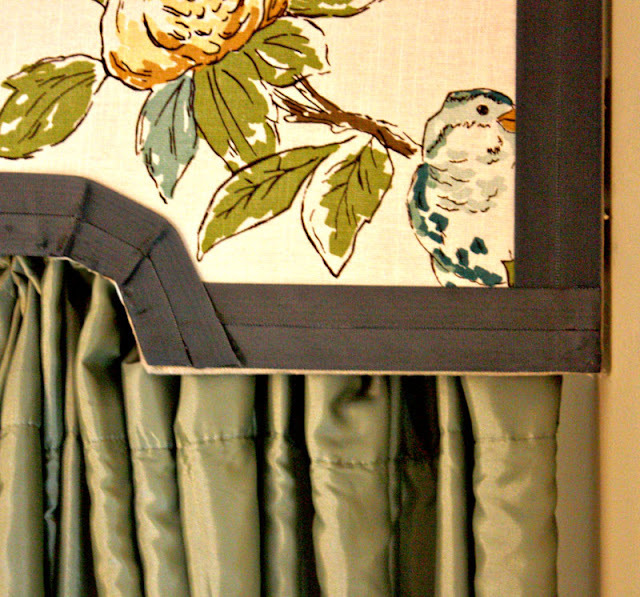 I used drop cloth fabric - it's cheap, and it won't show very much, so no need to use something more expensive. Pull tight over the edges, and staple on the front. Try to be neat, since the staples will be on the front side (underneath the front fabric, but still). We screwed straight through the uncovered front to add a few 2x4 supports to the back at this point. You may be able to skip this step, but we wanted to make sure our cornice was nice and sturdy, and that we would have a good surface to attach our brackets to. Here you can see the backside of the cornice, the brackets, and supporting 2x4s. Cover the front. (I used a shower curtain - of all things - from Target for fabric. 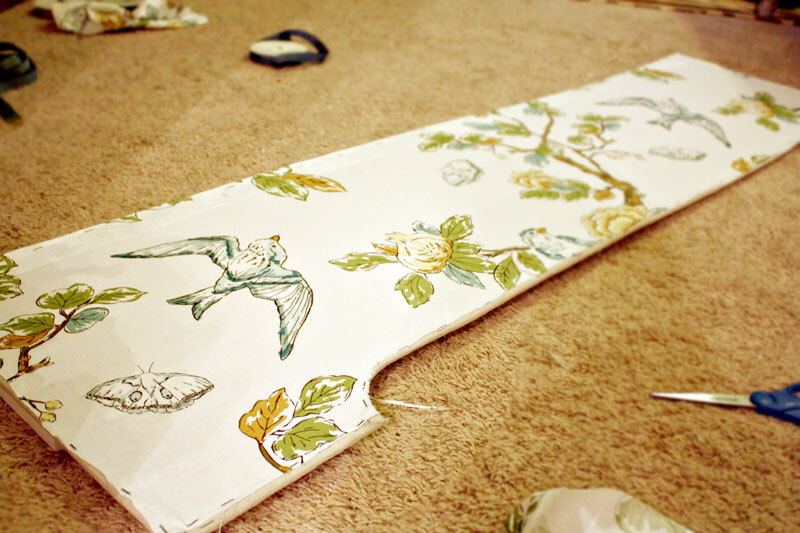 I was also able to cut a roman shade from it, and still have a bit left over.) Staple the fabric about a quarter inch in from the edge. 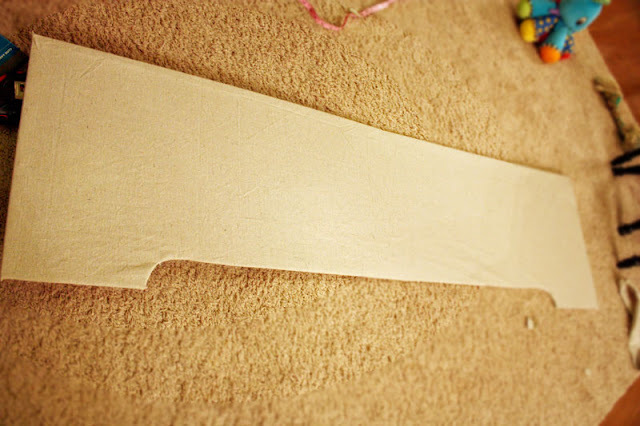 Trim any bits of fabric that overhang the edges. Add your ribbon trim. I used tacky glue, and opted to do 2 rows of inch-wide ribbon (it's what I had on hand). 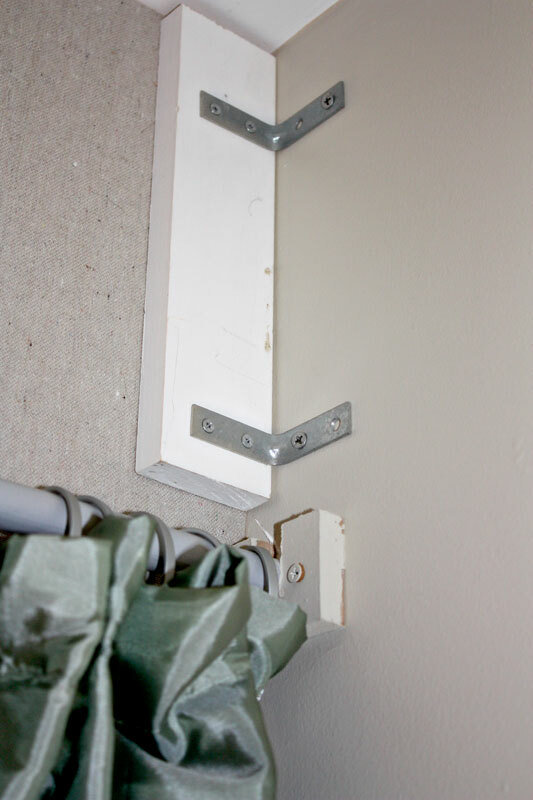 Attach L-brackets to the 2x4 supports on the back. 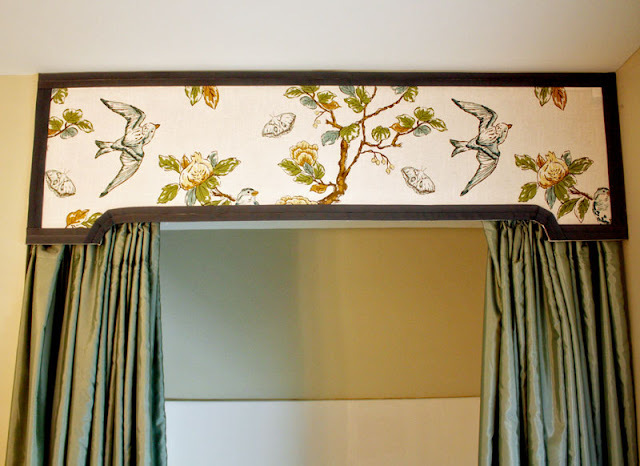 Use drywall anchors (or drill into studs) to hang the cornice. 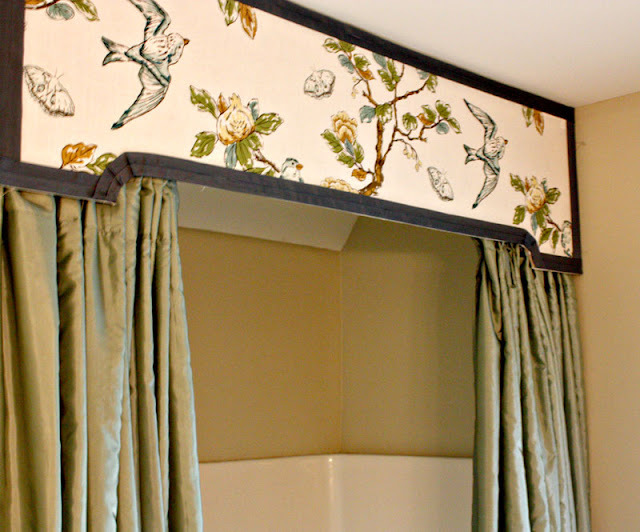 I'm hoping to find an extra-long waterproof shower curtain to hang on a separate rod inside of the outer curtain, so it can be pulled closed while the outer curtains stay open to let light in. Anyone have a great (inexpensive) source?